Many smallholder farmers are facing the problem that they do not know what and how much fertilizers their soil needs for the next crops, that traders do not sufficiently help them to answer this problem and that they do not have the financial means at hand when it is favourable to buy fertilizers. On the other hand traders often do not have neither the knowledge nor the proper fertilizer at hand. The SMAP Kenya project just deals with the farmer-trader interaction and reflects in what way microfinance institutions may help to overcome these deficits. The SMAP-Kenya case study wants to enhance farmer knowledge on type and amount of fertilizers needed to increase farm yields and hence incomes as well as to improve the interaction between all stakeholders to explore and improve credit and insurance options. 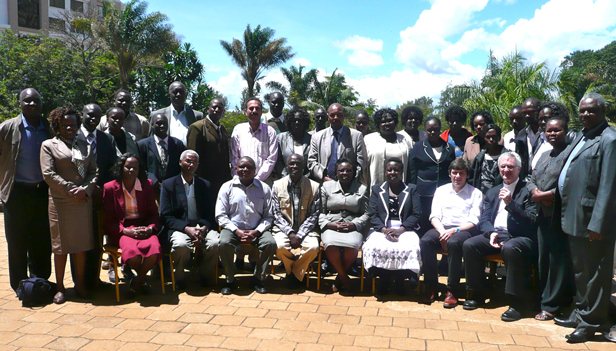 The case study takes place in Uasin Gishu County, which is on of the 47 counties in Kenya. Together with 15 smallholder-farmers, local agro input dealers as well as global phosphorus traders, banks and insurance companies and environmental and farming experts different fertilizer and use scenarios will be explored and the most promising adopted. The farmers’ productivity will then be measured to confirm benefits that farmers gain by adopting improved fertilizer access and use strategies. Economic benefits to other value chain players will also be measured to ensure that all there is sustainability through mutual and shared benefits. * This is the first version of the description of what will be dealt with in the MLS 2.1 Kenya - Kenya Cereals and provides only a rough description of what will be discussed. A group of practitioners and scientists are currently revising this abstract and composing a booklet which will prepare all participants for the MLS on June 18. Please contact Philip Luthardt, member of the TD Support team or Anh Pallas, Science manager of Global TraPsif you want to join.